Check out the Latest Government Jobs rojgar samachar this week & this month May to june 2018. Candidates should get the Weekly Employment News from this Online web Portal at rojgarsamachar.gov.in. How to Find the perfect job for yourself? Are you a well-educated person with special skills in specified fields and are facing difficulty in finding the perfect job for yourself? Then you might follow a few tips and try your hands at your dream job in no time. If you wish to apply for a job, the first thing you need to keep ready at all times is your CV or testimonial.It must be filled with proper and authentic information about your identity, academics, special skills, certificates of appreciation and other notable traits that might appeal to the interviewer. Also you can fetch all the Sarkari Naukri Updates in Hindi ,Gujarati details from this Website. Rojgar Samachar this week May 2018? In today’s technologically advanced world where information is just a click away, all you need to do is to look up the probable job you wish for online and check the Upcoming and Latest vacancies that might suit your needs of rojgar samachar this week from this page. 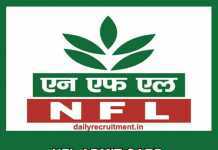 BECIL Recruitment 300 / Programme Coordinator Check Advt. 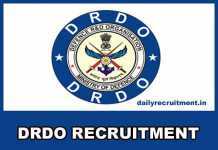 IB Recruitment 2018 134 / Intelligence Officer Check Advt. 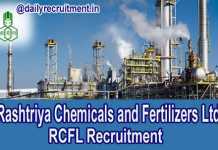 RVNL Recruitment Southern Region, Northern/Central Region & Western Region and Eastern Region / Site Engineer Posts Check Advt. Ministry of Defence Recruitment 18 / Fireman, MTS & Various Posts Check Advt. 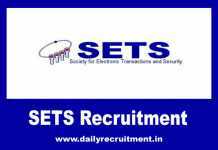 TVS Motor Careers Design Engineer & Other Posts Check Advt. 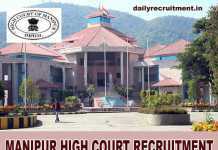 Hero Moto Corps Job Openings Sales Manager & other Posts Check Advt. If not online, you can also look jobs up in newspapers where companies which have vacancies and are hiring are sure to advertise their need. Even magazines and random posters and pamphlets are distributed by companies in dire need of applicants. So, if you are really that passionate about looking for a job, it is really not that hard to find a Government jobs. How to find the perfect Govt job for yourself? Now that you know where you can find suitable jobs for yourself, what you must do is short list the companies that appeal to you and work on their interviews. If you are good at something and know you can do well in that particular field, there is no stopping you from bagging the job of your dreams in no time. Therefore, what you need to do to find a perfect govt job for yourself is keep your CV ready, keep looking up advertisements online, in newspapers and others and go try in the company you wish to work in.